The Philip Stein Horizon collection adds a little bling to its small Natural Frequency Technology icon. Crafted in stainless steel, small diamonds are placed on the wave to give it a delightful shimmer. This piece has been created to balance the stressors of the day by tuning into the natural frequencies around us. 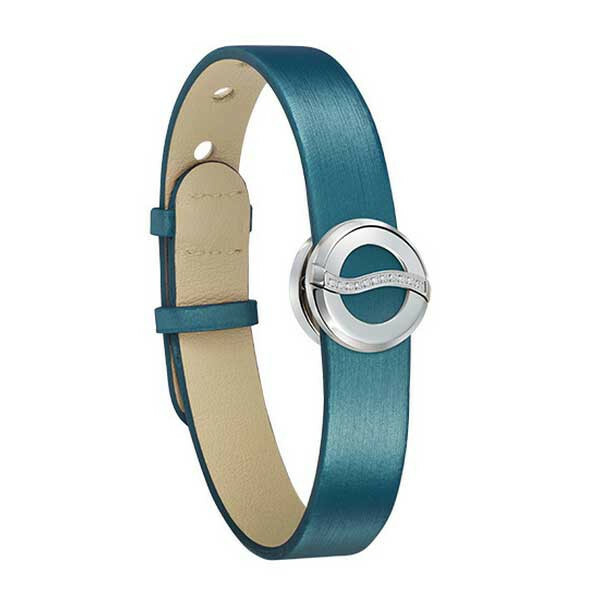 By placing it on a Horizon interchangeable strap (sold separately), you will bring wellbeing to your health while looking Philip Stein fabulous! JR Dunn has a 10-day satisfaction guarantee for all Philip Stein products.